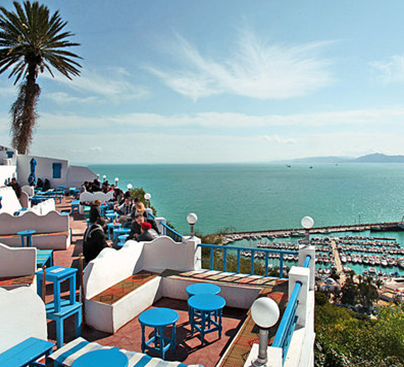 Explore Tunisia and its several destinations with your lowest airfare and cheapest flights available. These cheap flights to Tunisia are just a click away. Make your online booking with 7-continentstravel as we offer discounted fare rates for different destinations in Tunisia from several famous UK airports including London Heathrow, London Gatwick, Manchester, Birmingham, Glasgow, Aberdeen, New Castle, Bristol, Cardiff and Leeds with all the leading airlines of the world like Etihad, Emirates, British Airways, Gulf Air, Air Canada, Cathay pacific, Singapore Airline, Malaysian Airlines and many more. For making your online booking and any kind of assistance call our friendly staff on 0207 871 4545 which will be available 24 hours a day. 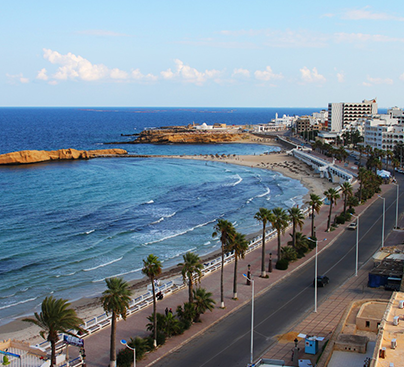 Several places at several destinations in Tunisia are worthwhile to visit and activities like shopping, hiking, snorkeling, deep sea fishing and bird watching are really enjoyable. Book your cheap flights to Tunisia and visit certain fascinating places like Tunis, Carthage, Bizeta and Ichkeul Lake, Tabarka and many others having no match in this world. If you looking for low price solution for Tunisia then please call us because we have special deals for Tunisia from London, which are guaranteed cheapest airfares from UK to Tunisia.